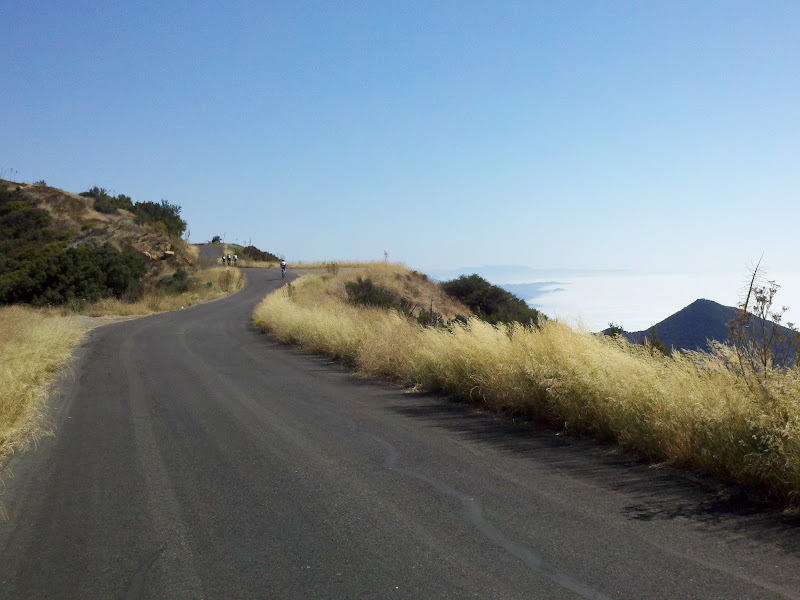 The Santa Barbara 100 (formerly Santa Barbara Century) is a great ride with serious climbing and spectacular views. The route starts at Leadbetter Beach and follows the bike path along the shoreline until Rincon Point in the south. 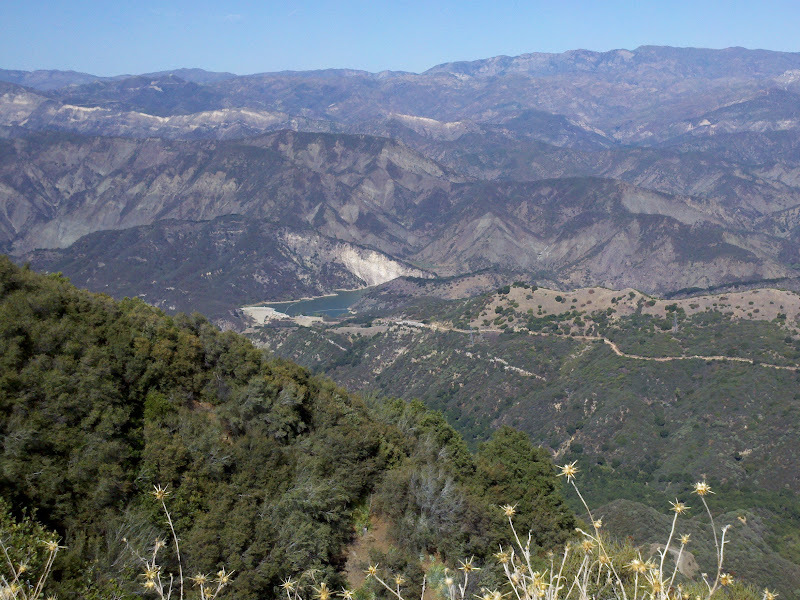 Then it leads inland and soon back north, following Gobernador Canyon Road and Foothill Road. 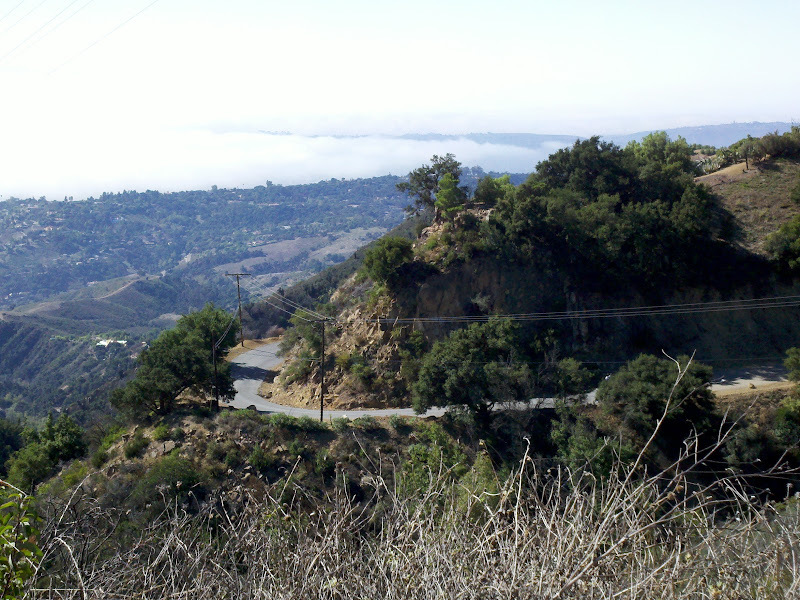 Short but steep Ladera Lane ascends to Bella Vista, which turns into Park Lane, which turns into Mountain Drive, offering the first views. Gibraltar Road is a significant climb. 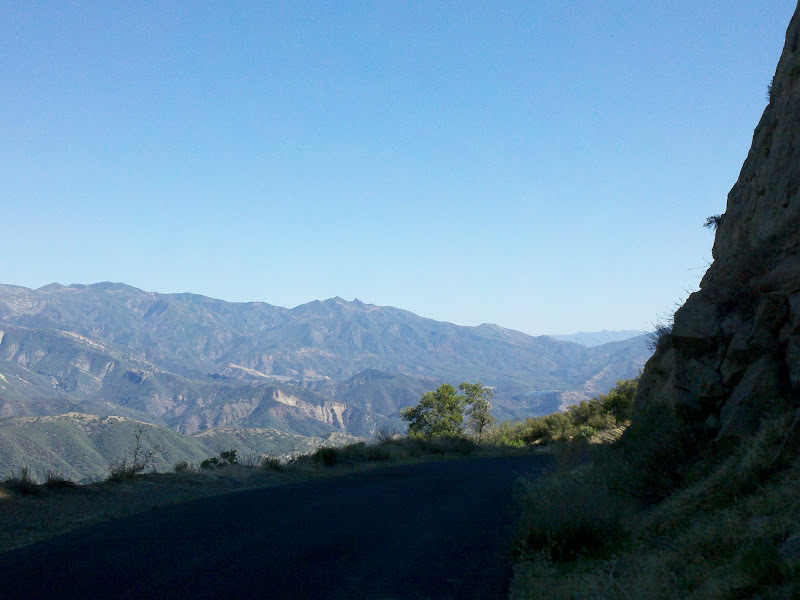 The higher its elevation, the steeper the grade and the better the views. 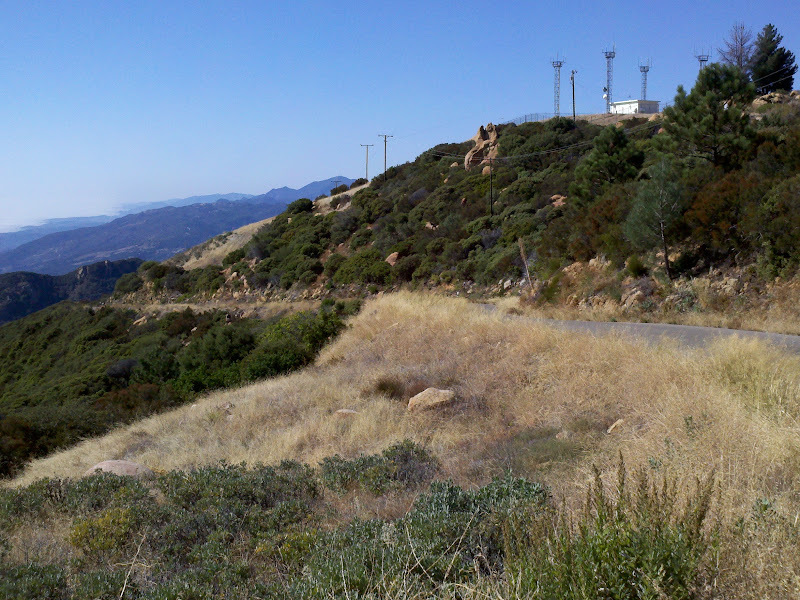 At the top of the ridge, there is an out-and-back section on Camino Cielo, initially leading south. 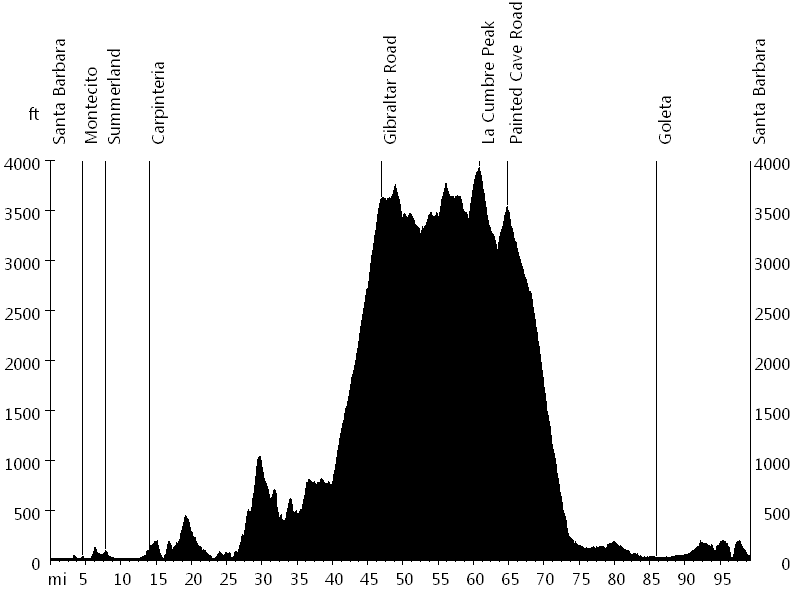 Then the route continues to the north, passing its highest point at La Cumbre Peak (~4,000 feet). 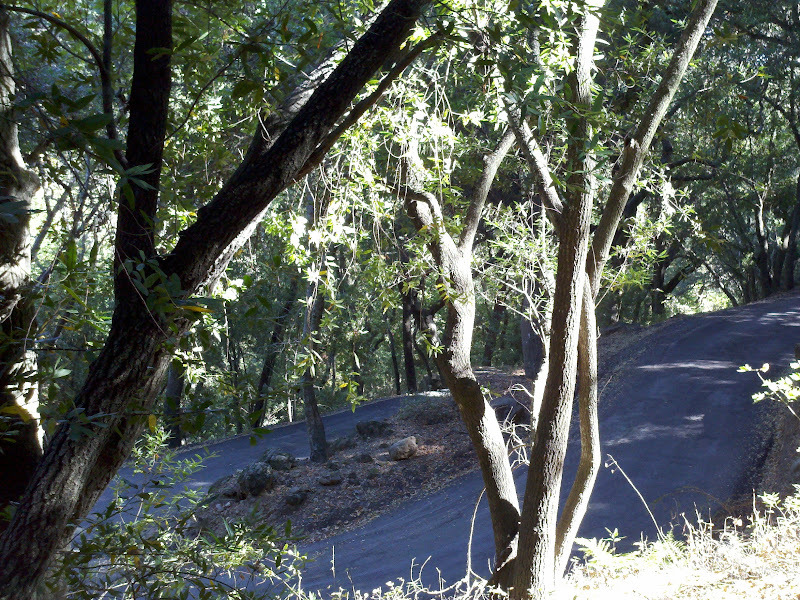 Painted Cave Road is the first part of a steep descent and San Marcos Road the second section. The last quarter of the ride is fairly flat and fast. Cathedral Oaks Road leads further north and Hollister Avenue back south. The route continues on the bike path along Atascadero Creek, then passes through Hope Ranch, and finally returns to Leadbetter Beach. Sandra, Lisa, and I went to Santa Barbara for the weekend. On Saturday I rode the century. At the start, I ran into Andrea G., my spinning instructor. We rode together until Gibraltar Road, where she took off to win her age group in the timed hillclimb. After the ride, Sandra, Lisa, and I went wine tasting and had dinner on Santa Barbara Pier. On Sunday we checked out UC Santa Barbara, which is quite different from UC Berkeley, where Lisa went for summer school.